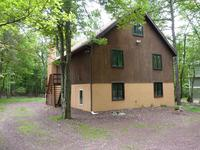 Rick's Pocono Blog: A Beautiful Home To Rent In Lake Harmony! There is room to roam for the entire family, friends, and more in this Beautiful Pocono Mountain Home! 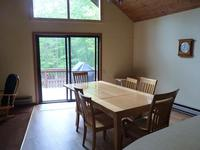 This home sleeps 16 people for your Favorite Pocono Family Reunions, Get Togethers, or Big Family Vacations. This Home is nestled into Lake Harmony Estates just waiting for you to make Magical Pocono Mountain Memories. On level 1 there is 2 Queens, level 2 there are 4 singles and 1 queen, and on level 3 there are 6 singles. 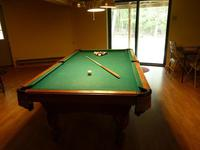 Appliances are here including Washer, Dryer, Disherwasher, Refrigerator, Internet Access, Propane Fireplace, with Deck and Deck Furniture.